Weddings are filled with details. to add God into the plans. One great way is with a heartfelt wedding dinner prayer. Wishing the happy couple a blessed life is a wonderful gesture but actually praying a touching wedding prayer is a powerful gesture. Spending a few moments focusing our attention on our Creator and his ability to smooth out rough spots in relationships is a great way to start a marriage on the right track. on the most important things in life. We lift up a prayer for this beautiful couple that we love. We have gathered together to celebrate their special day. We have all expressed our desires for their happy future. But Lord, we acknowledge that it is you who hold their future in your hands. We ask that you would bless them, protect them, and fill their lives with your wisdom. We ask that this would be a marriage made in heaven. 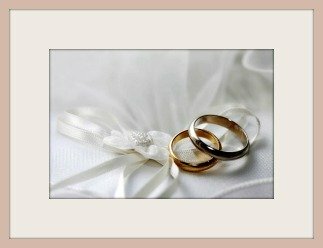 We pray that our bride and groom would continually desire to be a heavenly mate. Lord, draw their hearts together in love and unity. Teach them how to enjoy working together, playing together, and dreaming together. May they be determined to make YOU the center of their home. We are so excited to see this man and woman united in matrimony. We are so thrilled to be a part of this magnificent day. Thank you, Lord, for guiding their footsteps toward each other. Thank you for allowing us to be with them as they pledge their love and life to each other. Lord, we ask you for lots of smiles, lots of laughter, lots of joys, and lots of celebrations. May their life be filled with abundant blessings as they learn to walk together with each other and with you.